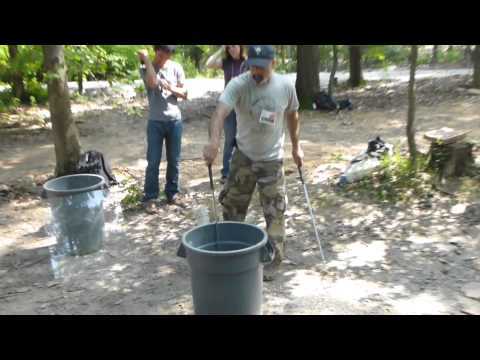 An official and legal survey of The NWR and False Cape Park in conjunction with the Virginia Hematological Society took place from May 3-5 2013. 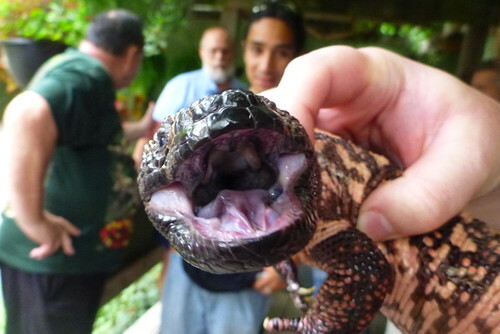 There were total of 8 teams of surveyors ranging from scientist to ordinary novice herpers all volunteering their time to help the Refuge and the park service get some insight into their herp inventory. Weather conditions were not the best with temps reaching at most 60 degrees but with partly cloudy skies and a brisk onshore wind made it feel much colder. Nonetheless the show went on! 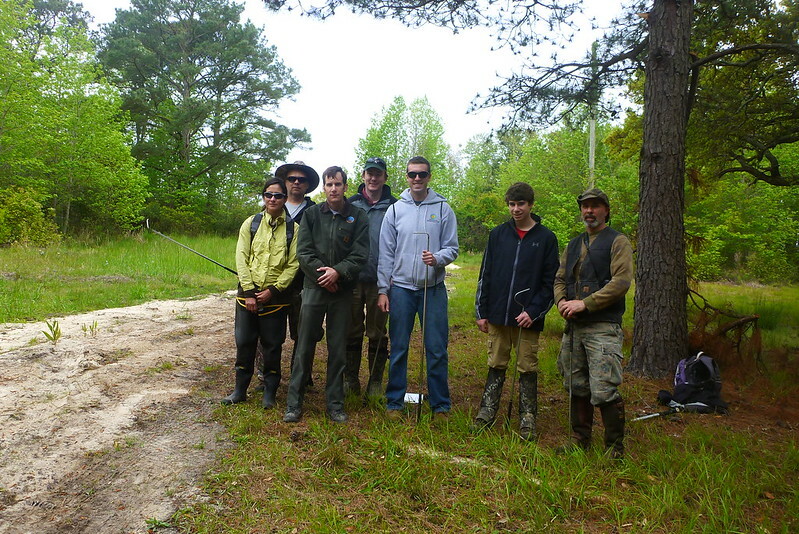 Each team was assigned a zone which covered more than 6 miles in length from the Backbay NWR in Virginia Beach all the way to False Cape State Park bordering North Carolina. Mike Gregory checking an old dumpsite near the North Carolina Border. 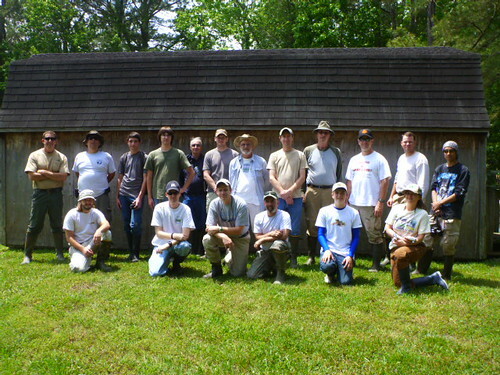 Even with 8 teams totaling nearly 80 participants was no enough to thoroughly cover the area. The teams were assigned group leaders and were given designated zones to survey. These zones included habtiats of open areas with pools of water known as impoundments which were further separated by dykes. The impondments occupied the open area that separated the dune beach and ocean eastern coastline from the marsh and bay area to the west. 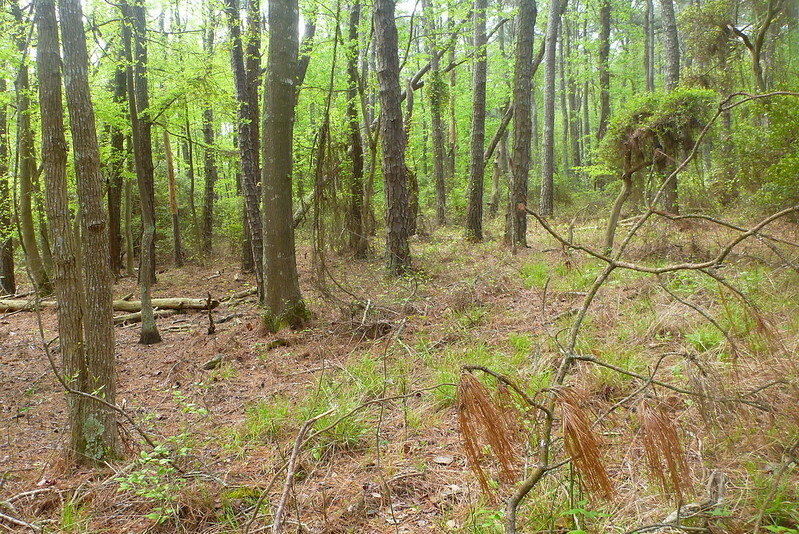 There were also sections of maritime forest mostly dominated by live oaks and lob lolly pines. 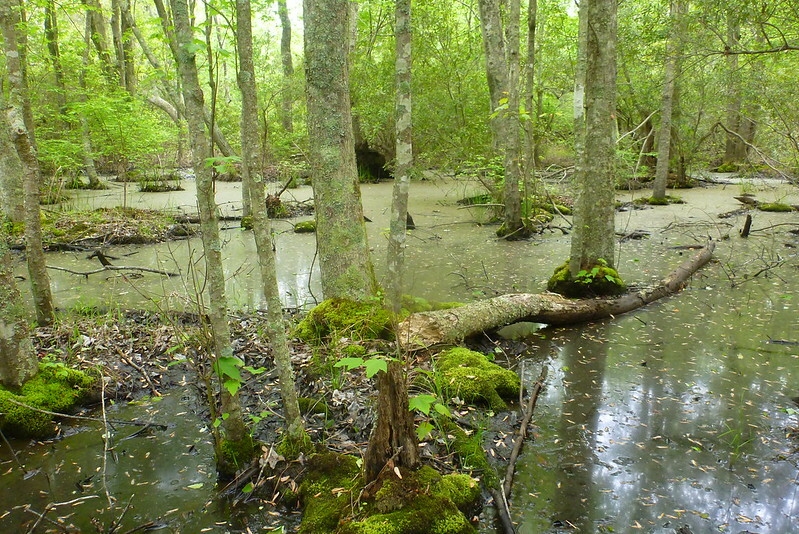 Within forested areas were an abundance of low lying vernal pools and wet areas. 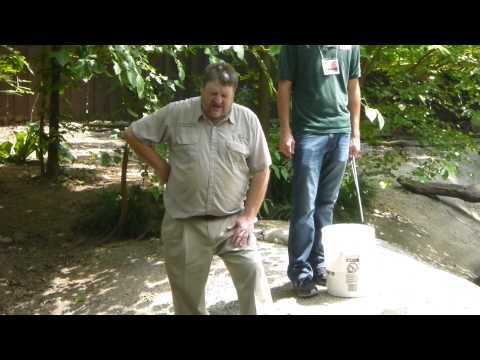 fowlers toads and sothern toads. 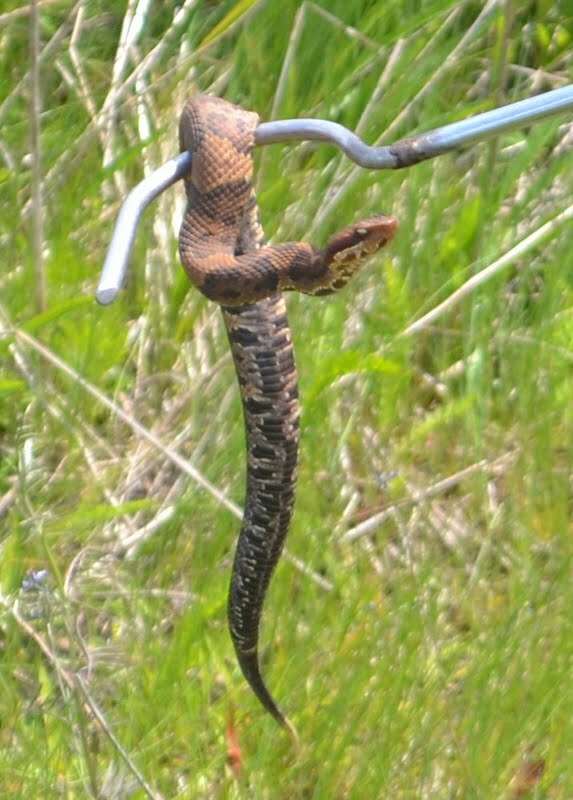 Snakes were high on the list among the herpers. 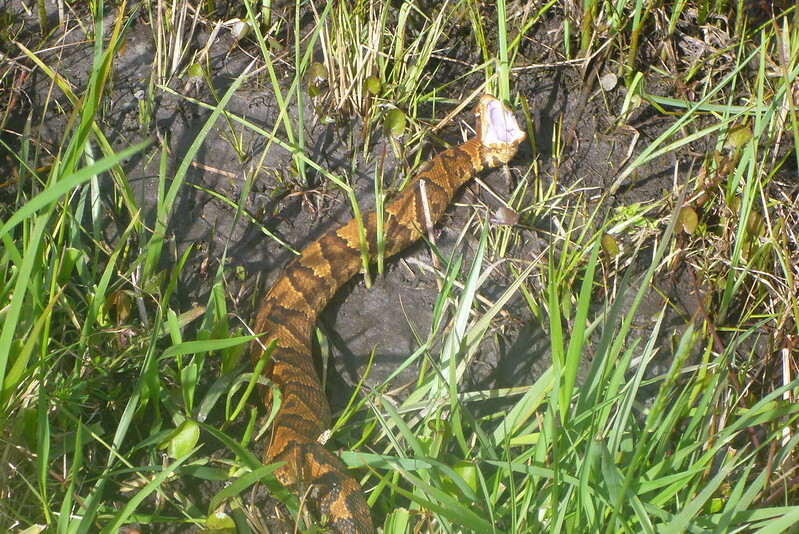 This area is known for its high density population of eastern cottonmouth moccasins. Moccasins are venomous are are cryptically camouflaged. On this trip almost every one found or caught one without incident. 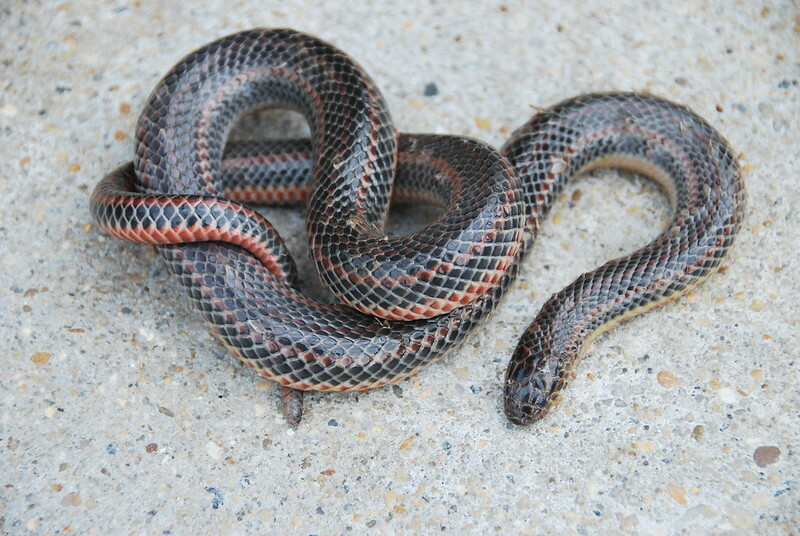 Other snakes found were northern black racers, brown water snakes, northern or common watersnakes, red bellied snakes, eastern rat snake and a garter snake. 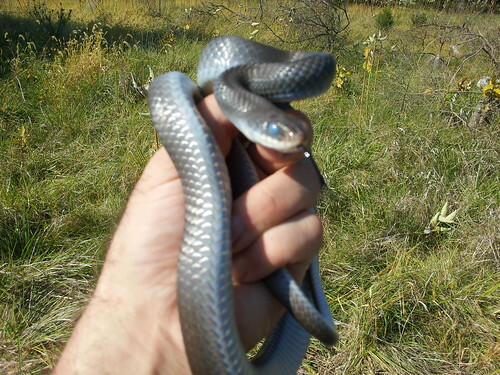 The one snake most highly prized was found by my group. Rainbow snakes are seldom seen due to their preference for certain types of foods and habitat requirements. We were fortunate enough to stumble upon one by accident. No salaamders were reportedly found. 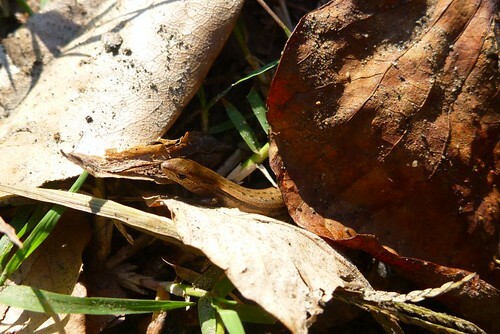 3/21/2012 Found this little brown skink as it is commonly called (Scincella, lateralis) today near 8 acre park. 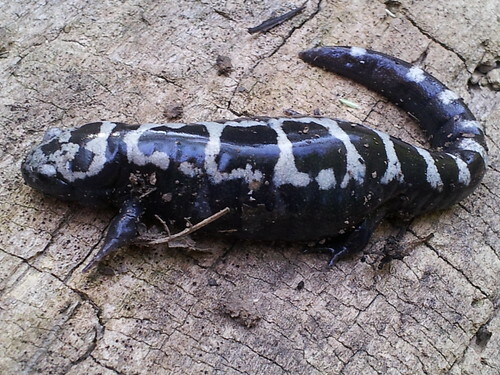 This is the first one I found in Clifton usually I find them in wooded areas along the coastal plain. 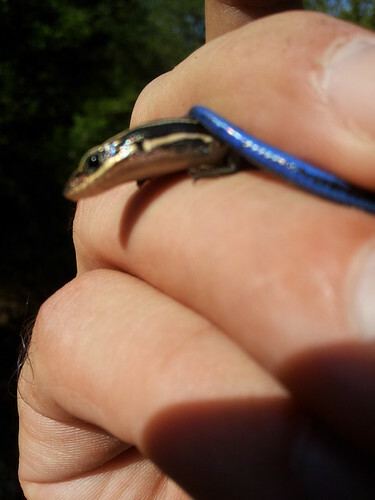 This native skink is VA smallest lizard reaching snout to vent length around 2.5 inches and overall length somewhere in 5.5″ if you include head to tail tip. 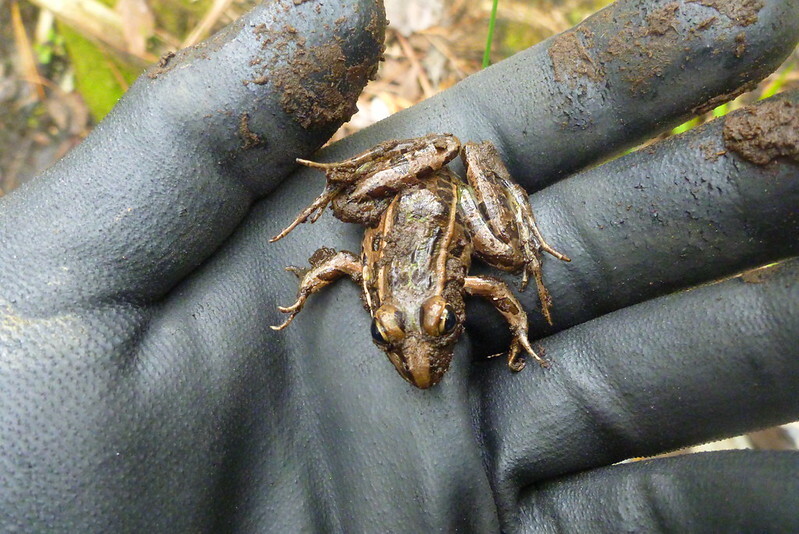 These guys are so small and pretty quick that they are often heard rustling through leaf litter but seldom seen. 3/22/2012 Fall Equinox: Woke up at 4:30 am this morning and could not go back to sleep. Waited until 7: 00am called my friend Mike to see if he wanted to go out and herp for two hours. 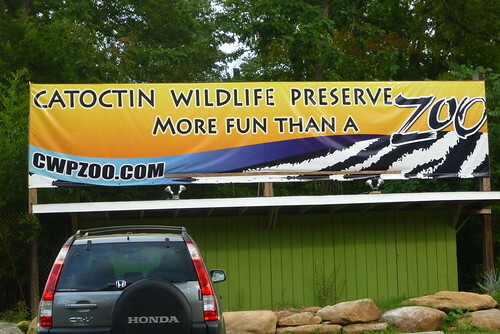 Two and a half days of demonstrations lecture and hands-on experience with reptiles at the Catoctin Zoo in MD. 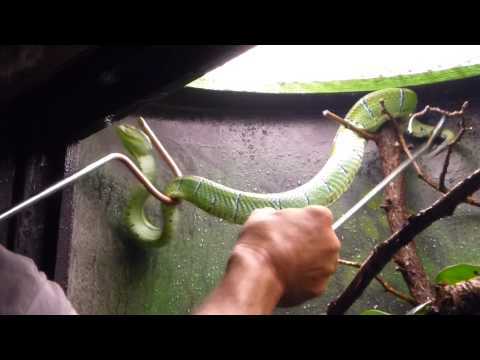 BElow are some of the memorable hands on experiences with four speices of Elapids and two species of Vipers. 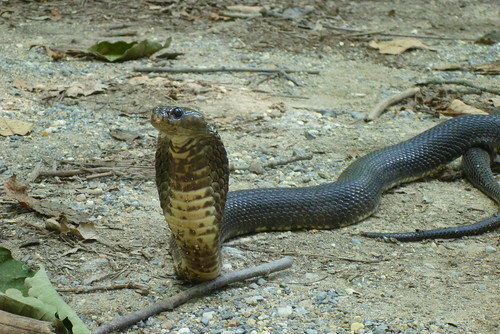 The Elapids in this case cobras- the Russian Cobra, the Monocled Cobra, the Spitting Cobra, and the Forest Cobra. The Vipers included Gaboon and Rhino Vipers and Pit Vipers Panam Rattle Snake, Eastern Water Moccasin, and Northern Copperhead. Our four hour drive began at 4:30 am Saturday May 12, 2012. 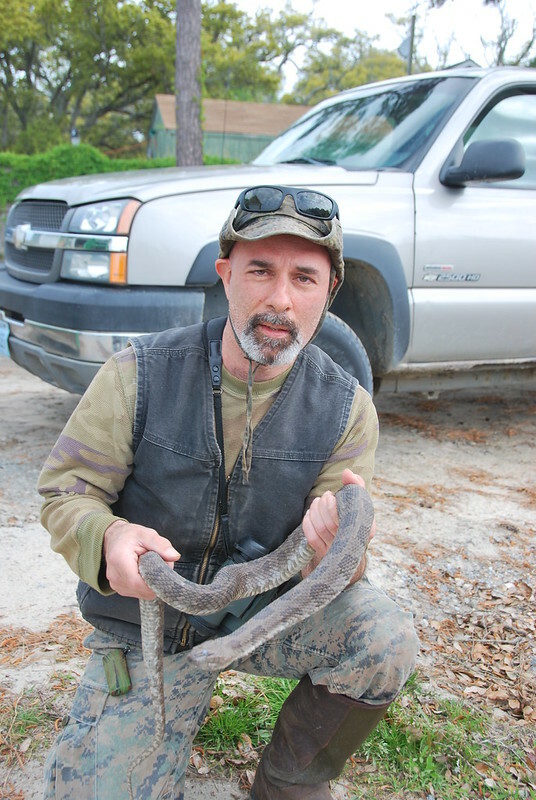 Mike and I received our invitation to attend the Canebrake Survey several months earlier and were looking forward to our first wild rattlesnake observation. 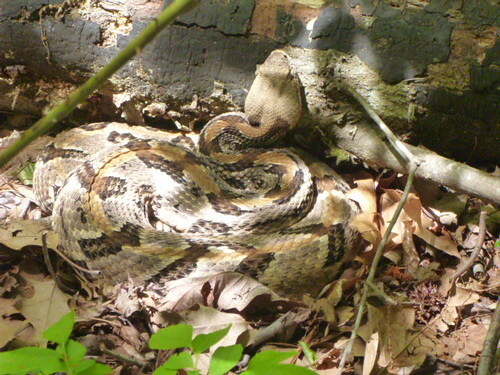 The Canebrake Rattlesnake is listed as VA State endangered and therefore protected. According to the Biologist leading the survey the population density of these animals is approximately 1 per 70 acres! So finding one even with twenty sets of herper eyes was quite a challenge. (above) Canebrake in ambush position. Note the position and angle of its head resting perpendicular to the log waiting for unsuspecting rodent. 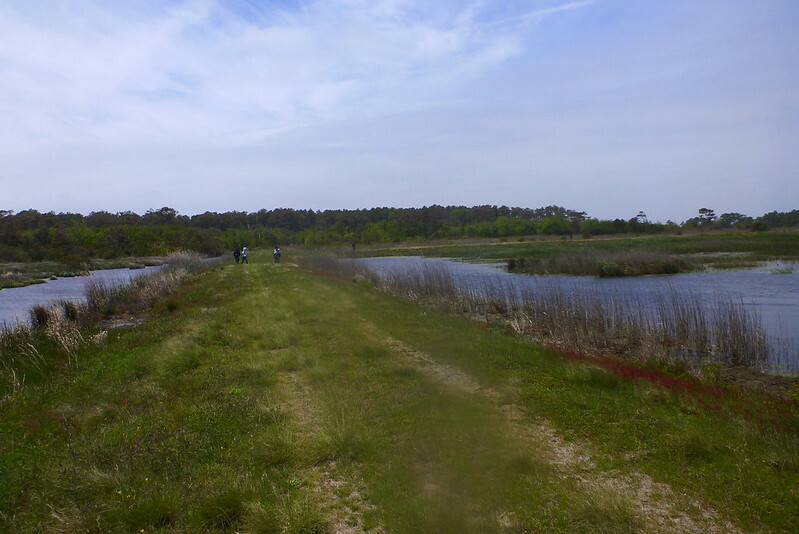 Our survey took place on land with restricted access and consited of a combination of open agricultural fields and pine tree scrub canebrakes and wetlands. 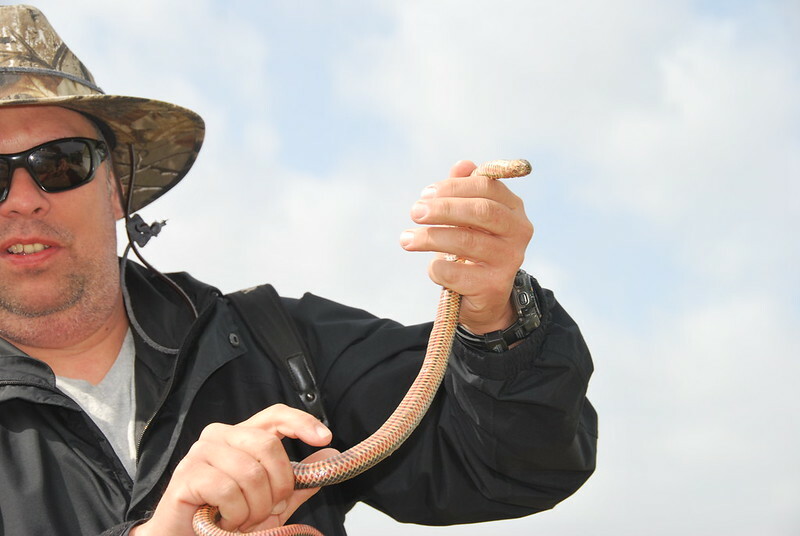 During the survey there were several other species of snakes caught one of which was red bellied water snake. 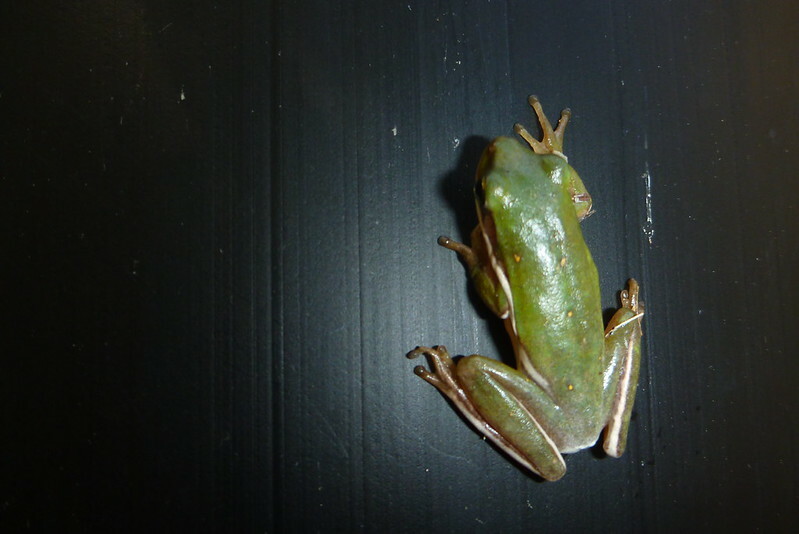 There were also a few phibs and lizard such as squirrel tree frog, Pinewoods tree frog, a few toads marbled and Atlantic salamanders. 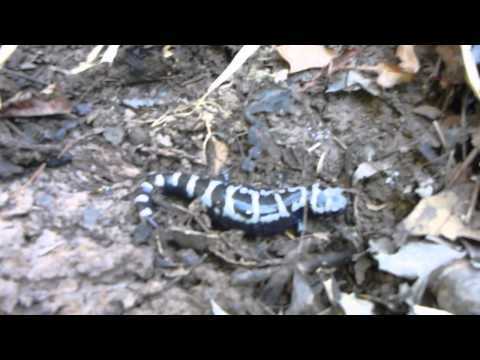 Lizards found were broadhead, five lined and ground skinks. In the end a Canebrake was eyeballed by a former student of mine Ryan Collister and curent student of Organismal Biology at CNU. 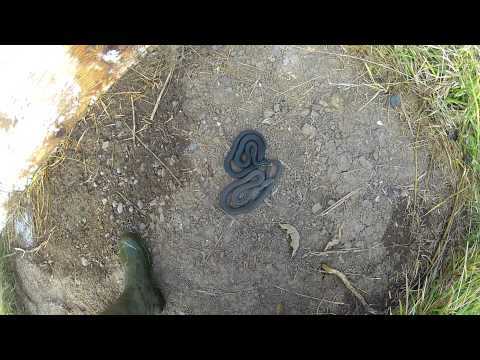 He was also the one who caputred the red bellied water snake. Funny thing I heard another herp team say to one another “lets get as far away as we can from these two-refering to Ryan and his herp partner Dane Conely. 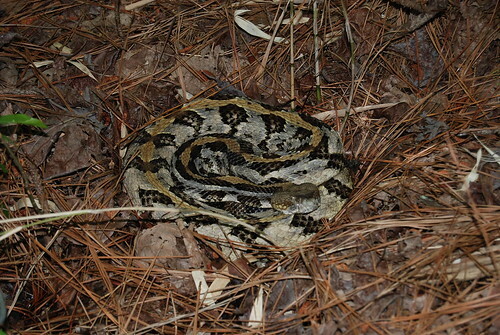 The notion that these two young adults age 16 and 20 would create too much of a disturbance and therefore minimize the chnaces for the “experienced “herpers of finding a canebrake. 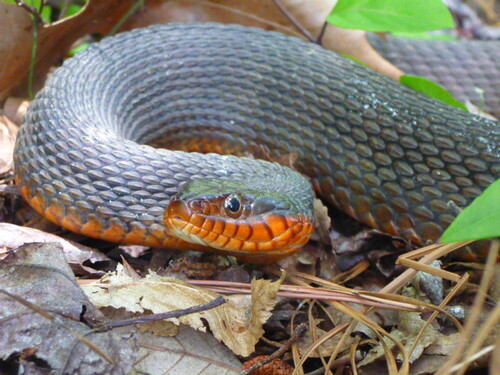 Well as it turned out Ryan not only found the only canebrake but a nice red bellied water snake too. Around 3:00pm the Canebrake Survey was over. 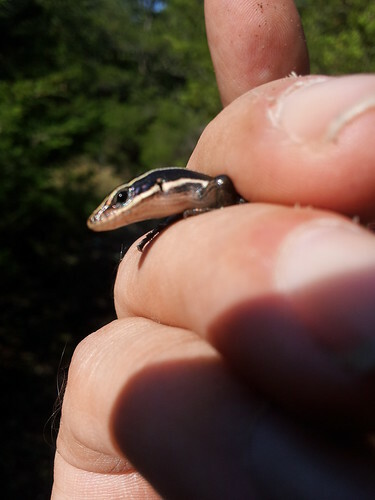 A healthy number of herps were found including two Canebrakes that were recovered and released. Mike and I decided to make a run for VA beach to a place called Back Bay National Wildlife Snactuary. There we were to meet up with Ryan and Dane in the hopes of getting some late afternoon herping in. 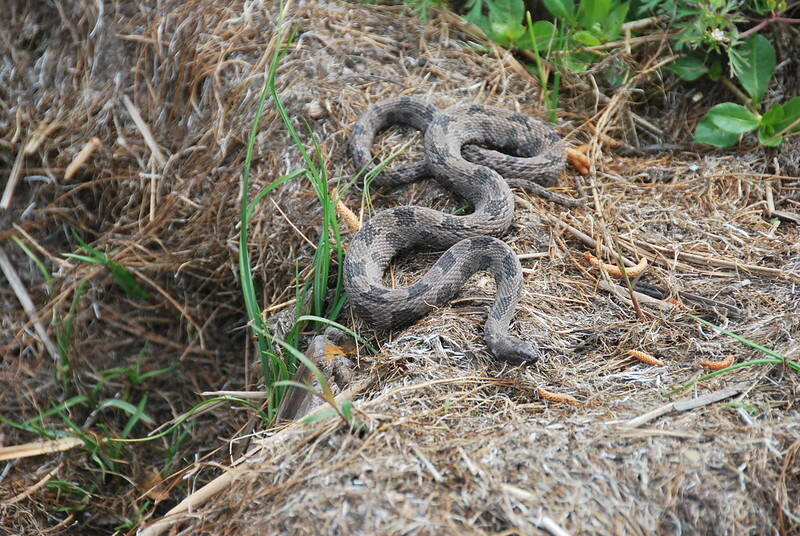 Back Bay has a nice diversity of herps the most coveted on this trip was to find water moccassins. That evening as we pulled into the parking lot we could see that Ryan and Dane had already arrived. Ryan could be seen holding up some sort of snake and appeared to be giving some tourist a lesson on the animal. 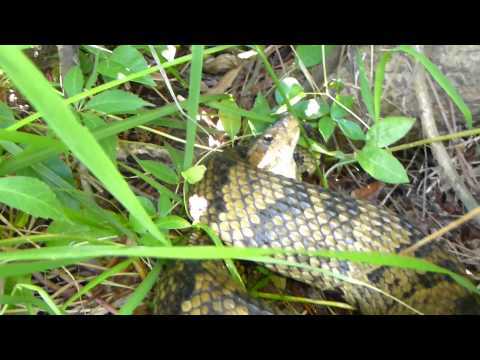 Mike and I approached and could see that Ryan had caught a nice Brown Water Snake. Dane on the other hand was in the process of getting a juvenile Brown on his own which had been seeking refuge inbetween some rocks along the bay shoreline. The evening was sparse in terms of water moccasins. 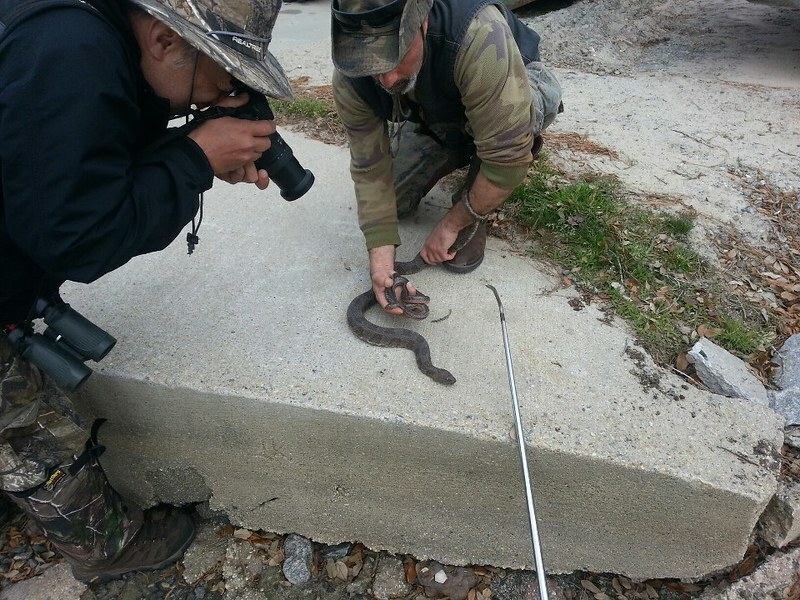 Ryan did manage to find a semi blind one laying coiled up in some salt marsh grass. Just before dark Dane and Ryan, both veterans of Back Bay Herping, showed Mike and I some of their other productive sites. This time we saw but did not capture a northern water snake, watched a black racer take to the water to avoid capture but several other racers were captured under some debris areas later on. On our way back to the parking lot Dane caught a nice narrow mouth toad. 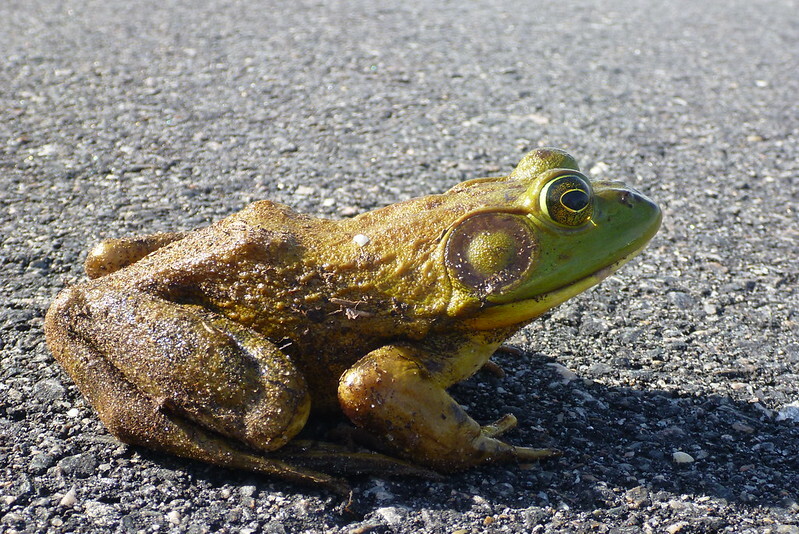 These things were calling like crazy in the marsh areas between the bay and the ocean. We said our good byes and Mike and I settled in a hotel room for the evening along VA Beach’s main drag. 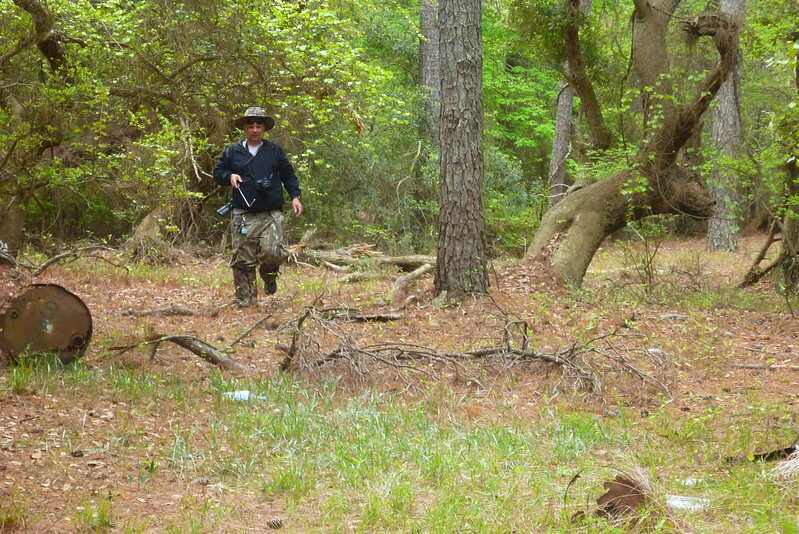 The next day Mike and I revisited Back Bay to try our luck at finding some larger Moccassins. The first hour wasnt producing much but we remained persistent traveling back and forth over the same area until finally I spot a baby lying coiled up in salt marsh grass. We take some pics and video then move on looking for the big ones that apparently inhabit the area. After about 15 minutes Mike gives out a shout – an adult crosses the path and makes it way into the marsh and remains long enough for Mike and I to get some video of the animals notorious defensive behavior.